High Peaks Pure Earth – The Return of TibetABC! 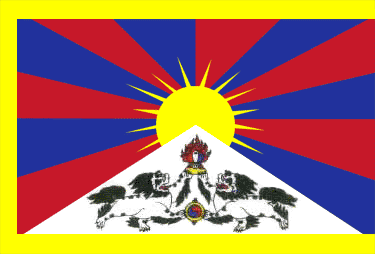 Having previously reported various closures and ‘technical maintenance’ incidents related to Tibetan language blogs, High Peaks Pure Earth is happy to report that the highly popular Tibetan language website www.tibetabc.cn is back online! We haven’t gone through each of the posts to see if any have been sanitised and cleansed of any inappropriate thoughts but just at quick glance, it appears that many of the previous posts are intact. Jamyang Kyi’s previous posts haven’t been removed either. The return of the site is welcomed by netizens with many celebratory odes. All Tibetan netizens agree that the Tibetan language websites and forums are vital to the flourishing of Tibetan language and its use. The Tibetan creator of the website and other writers and intellectuals argue that making a Tibetan language that is vibrant and used daily, especially the written language, is the most important task of all. Without turning the Tibetan language into a language of everyday practice, its vibrancy will be lost. High Peaks Pure Earth has translated two posts, which reflect the happiness felt by Tibetan netizens. On the joyous day of 10 March in the Land of Snows, Golog Kunga Tsangyang (mgo log kun dga’ tshangs dbyans) was suddenly arrested. At the moment he is probably in the city prison (grong khyer btson khang). I hope that the noble messenger may be free of all obstacles.